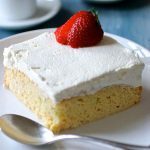 Here is a sweet sin that will make you melt of pleasure at the first bite: tres leches cake or cake with three milks, a creamy, airy and unctuous cake. 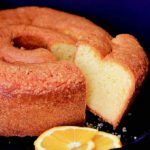 The cake with three milks is one of the most traditional recipes of Latin America and knows many versions depending on the country, all united by the use of three different types of milk: whole milk (or cream), evaporated milk and sweetened condensed milk. 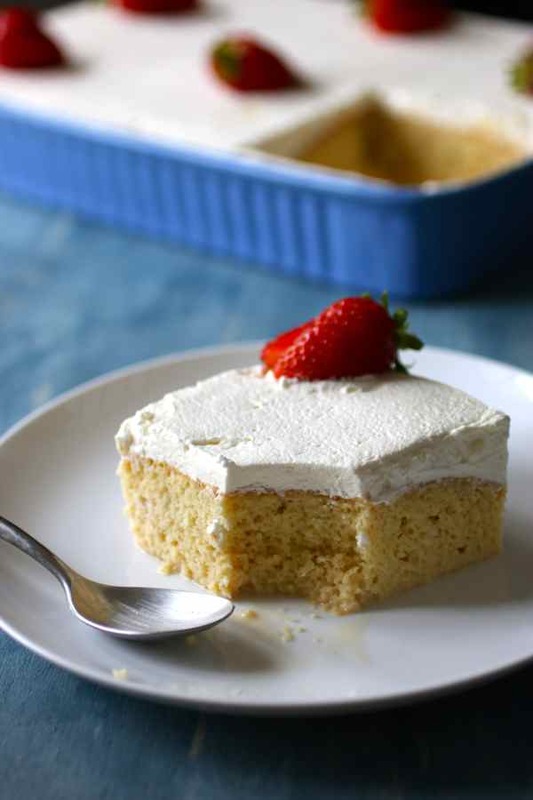 Tres leches cake (or pastel de tres leches in Spanish) consists of a base of sponge cake whose unique consistency is due to this particular moisture of the three combined milks, which makes the cake fresh and airy. It has the particularity of never crumbling. The three-milk cake is a very popular dessert in Mexico, Nicaragua, Venezuela, Panama, Colombia, Peru, Chile, Ecuador, Costa Rica, Puerto Rico, the Dominican Republic and other countries from Central America like El Salvador, and Honduras but also in Albania, where it’s called the trilece. 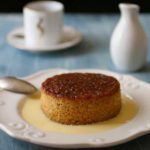 – the cuatro leches cake (pastel de cuatro leches): a Latin American dessert whose difference with the tres leches cake is the addition of another ingredient derived from milk. This additional ingredient varies by country. For example, in Chile, dulce de leche and pasteurized milk are added. – The cinco leches cake (pastel de cinco leches). For this version, besides the 4 ingredients of the cuatro leches cake, a fifth ingredient is added: coconut milk. It is very popular in Central America. 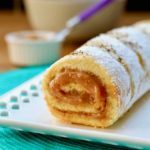 – The seis leches cake (pastel de seis leches). This variant requires a meringue on the top, although meringue is not dairy. This version would be originally from China. In addition, other versions of the six milks include almond milk. 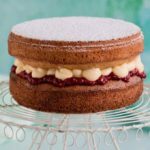 What is the origin of the tres leches cake? The origin of this tres leches cake is one of the most controversial. The most documented and most recent origin is from Nestlé which began marketing condensed milk in Mexico and Central America and was posting the tres leches cake recipe on the back of the cans around World War II. 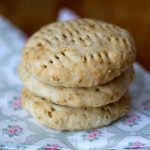 This commercialization helps to explain the popularity of this recipe in Latin America for the past two generations. 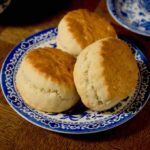 A well-documented study by a Texan journalist traces the origins to several sources. 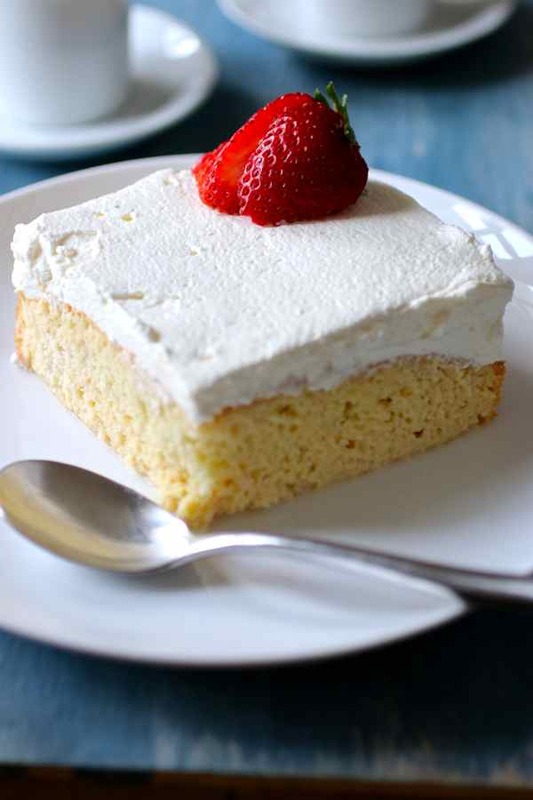 The European influence in Latin America is undisputed and tres leches cake was probably originally inspired by desserts like the British trifle, the Portuguese sopa dourada or the Italian tiramisu. The Caribbean has added liquor with their different versions of rum cakes. Although various Central American countries such as Mexico, Nicaragua, Panama, Cuba, Puerto Rico, Guatemala and Costa Rica can claim the paternity of this cake, many historians agree that this cake was originally invented in Nicaragua and is now one of the most famous Nicaragua desserts. One thing is indisputable: it is one of the best cakes I have ever tasted. 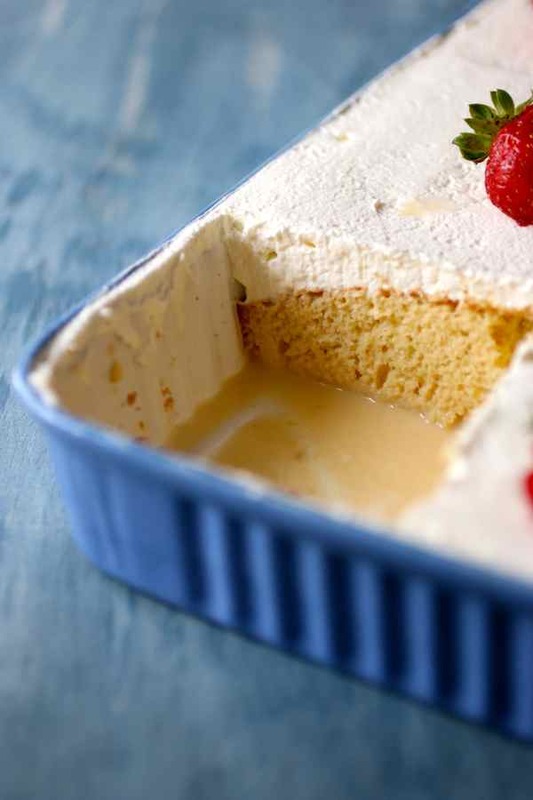 Try this tres leches cake recipe for a taste of Central America in your kitchen! Tres leches cake, also known as pastel de tres leches, is a sponge cake soaked in 3 kinds of milk, popular in Latin America. Preheat oven to 350 F. Pour baking soda into the flour previously sifted. Separately, beat the butter and sugar for a few minutes. Add eggs and vanilla extract and continue beating. Gradually add flour / baking powder mixture and continue beating. 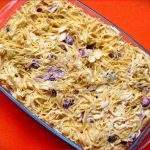 Pour into a large buttered gratin dish. Bake for 30 minutes. Prick the cake with a fork. Cool for at least 20-30 minutes. Mix the three milks and pour the mixture over the dough gradually. The dough should absorb all the liquid. 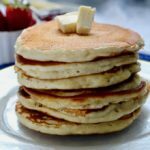 Beat the whipping cream with an electric mixer. When it begins to thicken, add the sugar and vanilla extract and continue beating. Cover the cake with this cream. You can garnish the tres leches cake with fresh strawberries. Thanks for posting this. I am from Nicaragua and I feared you did not write about us. 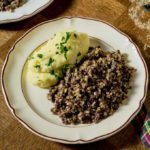 There are many more récipes that are unique to my country. I hope you keep writing about us. It is our pleasure, Sabrina. 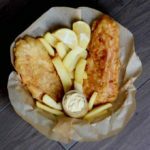 Can you suggest a few other Nicaraguan recipes? Hi Mike! 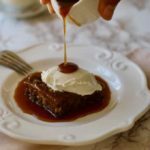 I am also from Nicaragua, so let me share some of the history behind Tres Leches. The first Spanish colonists to Nicaragua realized in 1524 that the country possessed extremely fertile volcanic soils, plenty of lakes, and extensive grasslands. So they established some of the first cattle ranches in the Americas there, undisturbed by native American raids, like in Mexico, or unsuitable soils _like the Caribbean Islands_ or insurmountable heights _like the Andes.. As a result of those happy coincidences, cattle ranching in Nicaragua became more important as an industry than mining unlike Mexico, Peru, or Bolivia. Therefore, Nicaragua produces 80% of the beef and milk in Central America and milk and its by products are used in many desserts (Tres Leches), shakes (Posol), soups (Sopa de Punche), etc. That said, in the late 70’s, after decades of political brewing, there was a revolution in Nicaragua that overthrew the US-backed Somoza dinasty of 45 years. Unfortunately, after the civil war, communism took over the country. The Contra War to liberate Nicaragua began right afterwards lasting 11 long years! The Revolution and the Contra War, forced more than 1.000.000 Nicaraguans to flee the country and about 400.000 moved to Miami Florida creating a strong Nicaraguan community there. Among the exiled were the Somoza and the Wong families who established one of the great steakhouses in Miami: Los Ranchos Steakhouse. Los Ranchos popularized Nicaraguan cuisine in Miami, already a melting pot of Latin American nationanalities. 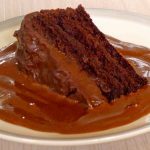 Among Los Ranchos specialties were Nicaraguan desserts such as Pio Quinto, Sopa Borracha, and last but not least Tres Leches, which became a sensation overnight! That is, Miami being a cultural mecca and always eager for new tastes and trends adopted Tres Leches as her own! The rest of the world followed suit by copying Miami and her new Nicaraguan delight: Tres Leches! Forty years later many countries _including Mexico, Cuba, and even Switzerland _which does not speak Spanish_ want to lay claim to Tres Leches pretty much like every country wants to claim pizza as their own! But the undeniable truth is that before 1979 none outside of Nicaragua ever heard of Tres Leches! Thanks for sharing! Very interesting story, Tino. Thanks so much for sharing the insights from a true Nicaraguan. Love it!